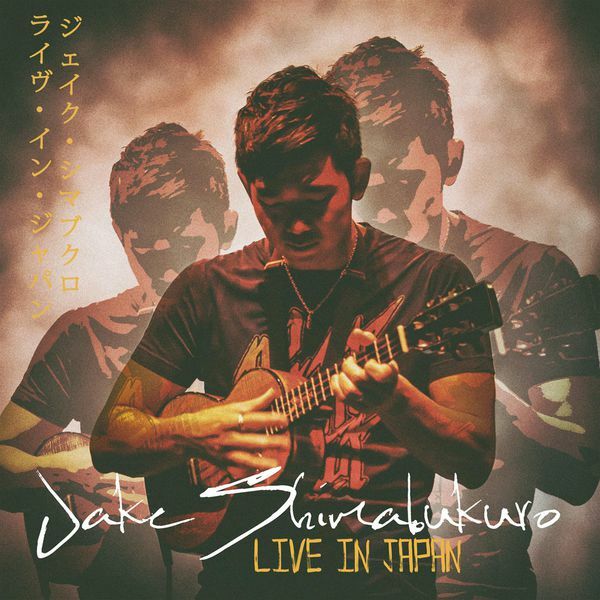 One of the exceptional recordings I have the pleasure to listen in the recent days is Jake Shimabukuro’s latest concert release Live in Japan. This record marks my first encounter with the Japanese American ukulele player born in 1976 in Honolulu, Hawaii. I had never took ukulele instrument seriously before I listened to that album. Looking as a toy guitar, used mainly to accompany singers of particular genres, it had never manage to captivate my attention until recently. Stumbling upon Jake playing this instrument live completely changed my attitude towards the little string instrument and its capabilities. As a true admirer of nylon string acoustic guitar and devoted fan of Earl Klugh I am fascinated by the intimacy of finger picking guitar style. Until I listened to Jake playing on his ukulele, I thought no other instrument than acoustic guitar could bring such a degree of emotional expression and pure excitement. Now this sacred place of favour is occupied by Jake’s ukulele and its timbral and tonal perfection that brings emotion and intimacy on a new level. It is indeed not just a regular ukulele, but a “special one”, as Jake usually likes to say. It is Kamaka ukulele. Established more than 100 years ago Kamaka is the oldest maker of the world finest ukuleles. Made out of Koa wood in the Kamaka family-owned factory in Kaimuki, Hawaii it is 4 string tenor ukulele characterised by its mellow sound. Jake relies only on its natural sound, so no effects have been applied to it. “Live in Japan” captures its pure timbral texture and vivid tone colour in space of transparency. Ambient sounds and hall reverberations of the concert venue are dosed in a perfect balance so that the airy three dimensional presentation makes the instrument to shine in its full glory. Jake is not alone on the stage but leads a trio composed of himself, Nolan Verner on electric bass and Michael Grande on keyboards. Choosing the trio format turns out to be a rather good combination — nothing is overdosed, nothing is missing. Backed up by the bass/keyboard rhythm section the virtuoso alternates complex rhythmic patterns with melodic passages seamlessly flowing into each other. The record has spectacular dynamic range which is based on the contrast created between the low bass notes and the sparkling heights of Jake’s ukulele. The gleaming keyboard mids are spinning the soft fabric of the harmony that brings together Nolan’s rhythmically pulsating bass lines with Jake’s rasgueado-like strumming. Both electric bass and keyboards are very controlled and they never intrude into Jake’s leading perimeter. Even in funky sounding pieces like the cover of “While my guitar gently weeps” there is no trace of slapping bass tones or any unbridled keyboard strokes. This sort of composed rhythm topped with the Jake’s explosive strumming poured into gentle accents and rising melodies creates a rather nice contrast and makes this music so appealing. Being only three there are moments of acoustical silence perceived as a space entangled in the sound fabric. Sustained tones of the keyboard and rhythmically simple bass lines are forming the frame dominated by Jakes’s syncopated strumming, outbursting tremolos and lyrical passages. My favourite pieces are Red Eye, Kawika and 3rd Stream – pieces dominated by cheery melodies and frisky rhythm. The concert could be listen with full attention or as a background, do as you like it, either way it will bring pleasure and joy.